Cells have many mechanisms to protect genomic integrity, including the process of repairing errors that may occur during DNA replication. The Dna2 nuclease is involved in DNA repair, but little is known about its effect on chromosomal instability. In a new study, researchers from several research institutions, including Baylor College of Medicine, revealed that when Dna2 is missing, smaller DNA fragments jump from the entire genome to the chromosomal breaks. This new mechanism may explain similar events that are often observed during cancer or antibody diversification. The study was published on the issue of Nature, entitled “Dna2 nuclease deficiency results in large and complex DNA insertions at chromosomal breaks”. The corresponding author of the paper is Dr. Greg Ira, Associate Professor of Molecular and Human Genetics at the Dan L Duncan Comprehensive Cancer Center at Baylor College of Medicine, and Dr. Kaifu Chen from the Methodist Hospital in Houston, USA. The first authors of the paper are Yang Yu and Nhung Pham of Baylor College of Medicine, and Bo Xia of the Houston Methodist Hospital. Ira said, “One of the concerns of my lab is to understand the basic mechanisms of DNA repair. 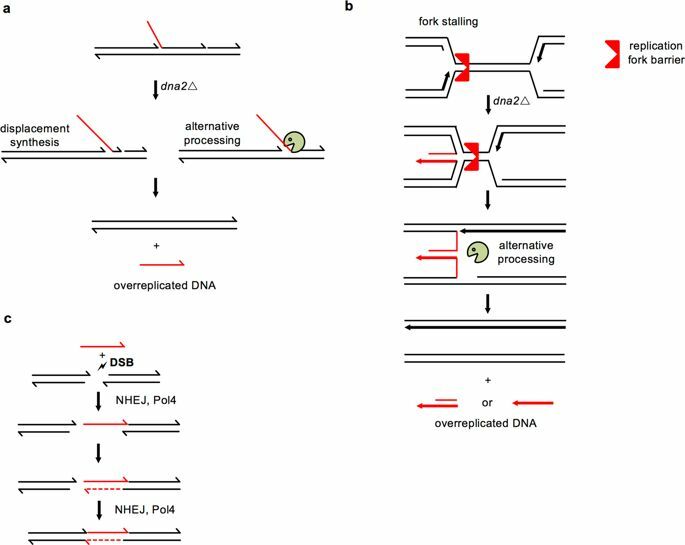 In this study, we used yeast as a research object and first discovered a Drosophila mutant in which DNA fragments are often inserted into DNA breaks. This mutant lacks Dna2, an enzyme that is conserved in all organisms.” A mobile genetic factor known as a transposon could jump from one chromosome to another. Unexpectedly, in this Drosophila mutant, Ira and his colleagues found that any chromosome can jump into the DNA break. The researchers also studied the origin of the DNA fragment that inserted itself into the chromosomal break. They found that smaller genes, DNA fragments called telomeres at the end of the chromosome, and other DNA inserts were derived from the entire genome. Yang Yu et al, Dna2 nuclease deficiency results in large and complex DNA insertions at chromosomal breaks, Nature (2018). DOI: 10.1038/s41586-018-0769-8.